Ever since Sen. Mark Udall lost his bid for reelection, a running conversation here at the Peak is whether Udall has any regrets about running the race he ran. We mean, Udall had a very unique story and style in contrast to other Colorado politicians. And, yet, by and large, that Udall-as-personification-of-Colorado was largely absent from his campaign. Instead of trusting his gut, Udall ran the race his consultants and their numbers dictated. It’s the campaign’s job to define their candidate, and in choosing the path of hitting “women’s issues” extremely hard, Udall’s campaign neutered some of Udall’s biggest strengths. 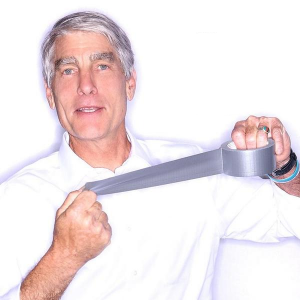 The westerner’s westerner who could push a more liberal agenda because the average Coloradan could genuinely tell how much Udall truly loved this state, became a cagey politician, whose dour demeanor could only be matched by his outlandish attacks. Sure, as Udall’s consultants and campaign were focus grouping Udall’s messaging to death, the “women’s issues” may have been the only thing moving the needle, but such research can only capture so much. Certainly if Udall had ran a more Udall-esque campaign, The Denver Post’s editorial board, notorious for favoring incumbents even more so than liberals, would have had no problem signing on for another Udall term. What went wrong for Udall? Two days before the polls closed, Cokie Roberts on ABC News said Udall ran a “terrible campaign” because of his reliance on women’s issues. “Going after women on abortion and birth control and all of these things is pandering in a way that women start to just resent,” she said. “The election is over and we need to move on” is the statement of a man who thinks others royally screwed-up, but can’t see any benefit for anyone in publicly calling them out. Udall may have the same thoughts, but is too much of a class act to ever say such things, as evident by him giving a full-throated endorsement to his campaign team even as he was conceding a race he lost, running on issues that were never very much associated with him. Which leaves us to wonder: How much does Udall regret not trusting what had brought him this far in politics, himself? Whatever… Udall's biggest problem was who he supported for the last six years, and it wasn't Coloradans, not how he ran his campaign. He could have presented himself as Little Boy Blue and he would have still lost. Throw in a little arrogance – "I'd do it all over again, yes." – and you realize he never had a chance.